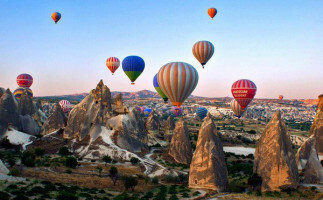 Why Go On A Cappadocia Hot Air Balloon Flight? Colourful balloons suspended in the sky against the rising sun, a valley of ethereal rock formations spreading out below. It’s one of the most beautiful sights you’ll ever lay eyes on. And one of those Instagram shots that will make your friends weep with envy. 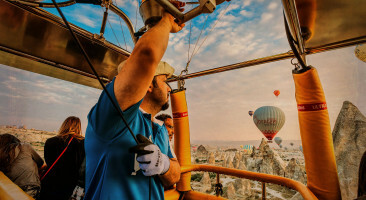 But seriously, forget that: the best reason to take a hot air balloon flight over Turkey’s Cappadocia region is that you’ll cherish the memory of the experience forever. 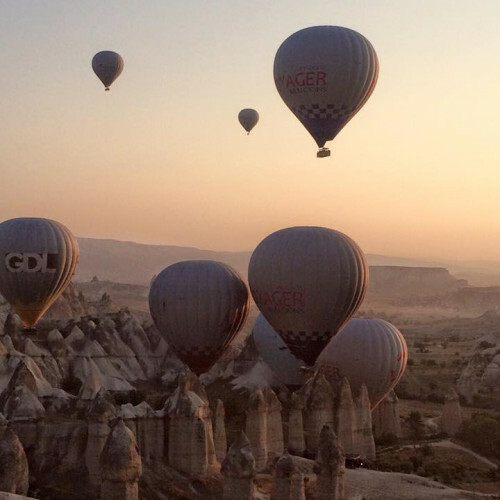 Is Seeing Cappadocia By Hot Air Balloon As Magical As They Say? In a word, yes. From an aerial vantage point, Cappadocia looks like another planet. Sort of like Krypton collided with the moon. Stone stacks reach up from the ground like rockets ready to launch. They’re known as “fairy chimneys” and, yes, they’re as enchanting as the name suggests. At sunrise, the landscape turns into an incredible glowing panorama of pastel and gold as you float dreamily over in your balloon.